Looking for something easy to sew for your little ones? 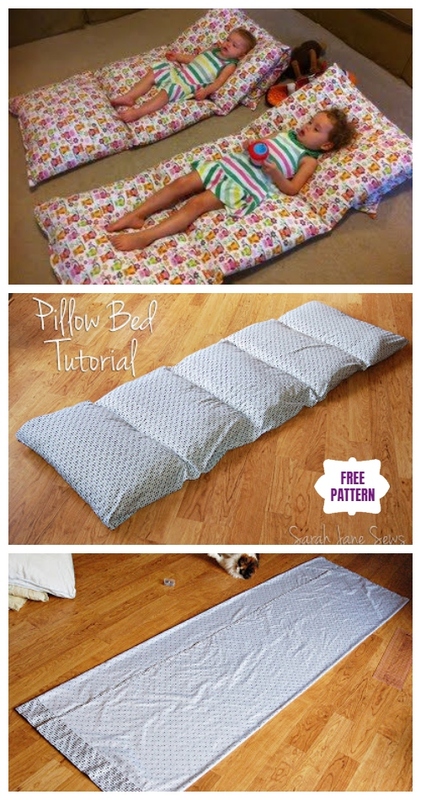 Turn those left over pillows into these comfy roll up pillow bed for the kids! They are perfect for reading, watching TV or pull them out for nap time! It’s so simple to make even for sewing beginners and easy to roll up by kids themselves and put in a bag. If you want to sew a sleep bag, the Pillowcase Sleeping Bag will be perfect for baby, and the bubble cushion would be another awesome sew project for kids and family. Today we are going to share 3 different ways to sew a pillow bed cushion for kids and yourself to carry and rest on. Sew a pillow bag for better carry on and storage, portable whenever and wherever you go from goods home design. 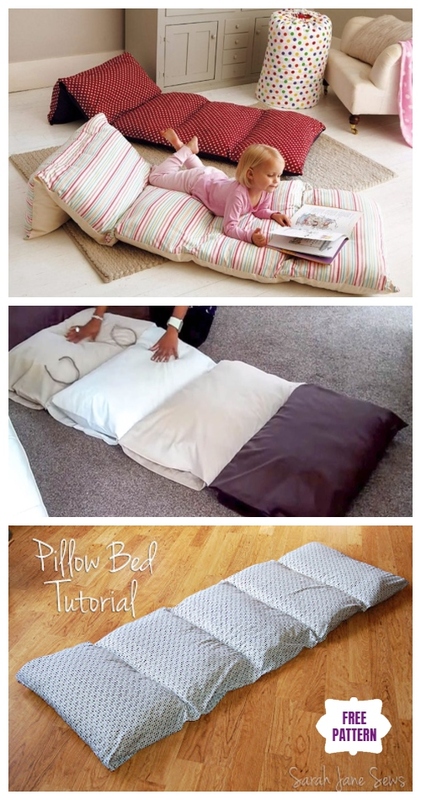 To make it easier, you can just sew four or five old pillowcases together and then insert pillows to make a floor bed for kids. 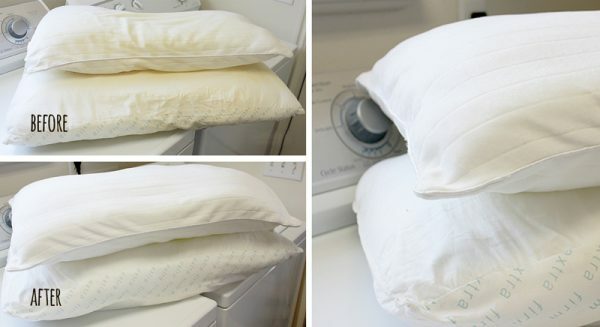 You can simply remove the pillows when it’s time for washing. Pretty Easy sew project for Summer. Here is a video tutorial by Jacklyn Kaye on how easy it can be to sew the pillow case directly and insert the pillows inside. 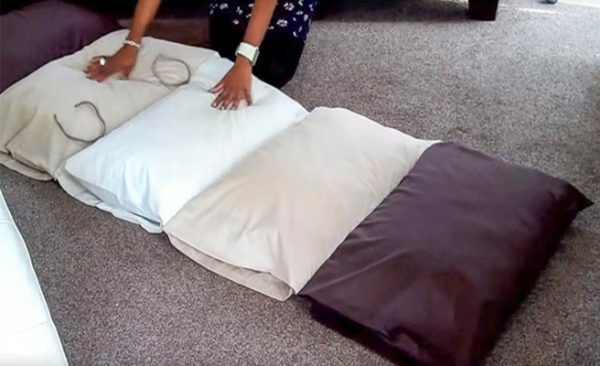 You can turn a piece of fabric or use bed sheet directly and sew them into connected pillow cases, be sure to measure the size of length and the width of pillow you are going to use before you start your project. 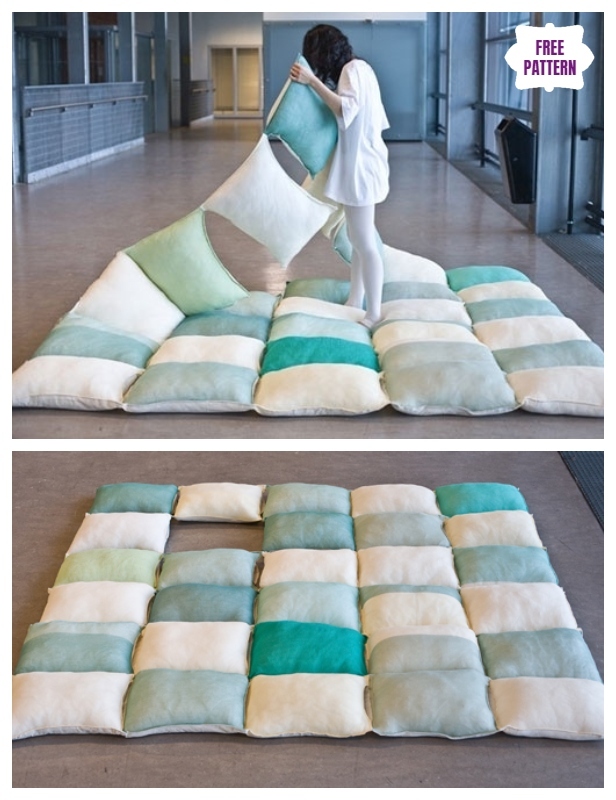 You can even wrap yourself in comfort with the Pillow Blanket by Netherland-based design studio Joon & Jung. Yellow pillows are common and how do you deal with them? Throw them away? Most people might do that but with a little trick, you can turn them white again with the recipe in our post here.